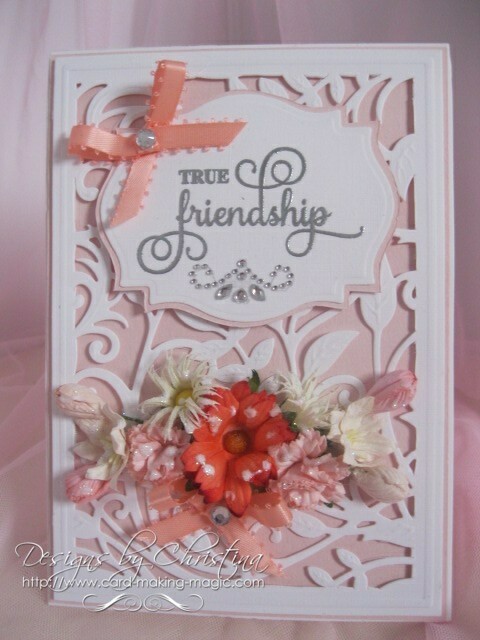 You are never too old to learn, and cardmaking classes, or any class for that matter, can improve your skills ten fold. Join the growing number of people who want to improve their cardmaking skills, or learn something completely new. And it is an excellent idea if you are really new to card making. There are a lot of very talented people out there who are more than willing to share their knowledge with you and you can make new friends as you learn and have fun. It may be a special technique that you want to learn or a particular way to fold a card. Perhaps you want to try out some new product before you go to the expense of buying it. When I started to make cards I did a lot of searching on the internet at what other people had to offer. I looked at websites and loads of blogs from people all over the world. They showed the photos of the beautiful cards they made, but they didn't tell me what to do to get the same results. This was one of the reasons I decided to make my own website and fill it with the help that was needed for someone just starting out and not knowing what to do. Another way to learn is at the ever busy and informative craft fairs, there you will find people who demonstrate their skills during the show, but some also do evening classes that you could join. Ask the demonstrator about any future classes. Maybe you can afford to go on a full day workshop and these are run around the country (UK) throughout the year. If you know other crafters then make a day of it and all go together. And you will come home with all the cards you have made on the day. Perhaps you could extend it to a weekend trip and enjoy some sights of the area you are in at the same time. There are also longer breaks away for the card maker and these can be in the country or even a on a cruise. Now that I could go for...how about you? Cardmaking classes and a cruise....Mmmmmm Heaven! All ideas to get you thinking of ways to gain more knowledge. And some even offer you advice on how to build your hobby into a business if that is the way you would like to go.